In Brazil, the conversion of native habitats to large scale-farming has caused, among other environmental impacts, deforestation and fragmentation of natural systems along with a considerable loss in biodiversity. Urbanization is one of the factors responsible for the destruction of the Cerrado (wooded grasslands) biome. Cities account for only 0.25% of the total area of the country, thus they have a smaller direct impact on natural landscapes compared to agriculture. But the urban population in Brazil is expected to reach 90% of the total population by 2030. Such increasing concentration will exert a great deal of pressure on natural habitats, if not in terms of space, surely in ecological footprint. Urban farming and ecological restoration are considered as intermingled practices aimed precisely at creating a culture which promotes biodiversity by arousing sensitivities and attitudes of care and belonging to a community which comprehend all living beings and the landscape we shape together. Ecological restoration focuses mainly on revitalizing natural ecosystems, but local perspectives eventually seek to realign it beyond its initial rewilding purposes toward other interests like food and with a focus on growing edible herbs (McCann and Schusler, 2016). Urban agriculture for restoration delves deeper by cultivating resilience and enhancing biological diversity and ecosystem services, such as pollination, soil enrichment and natural weed and pest control. Such a complex and challenging task both demands and generates knowledge and learning. In this way, regenerative urban agriculture is like a lab that fosters the development of a multitude of knowledge sets, not only in the field of sciences and technologies for sustainability, but also in environmental education for ecosystems and biodiversity conservation. It embodies the idea of community of practice, as participants—volunteers and collaborators (technicians, scientists etc.) learn by doing and interacting, and through the collaborative mobilization of information and resources to overcome problems and contradictions inherent to the activity. The above paragraphs are excerpted from an essay which looks at urban farming for Cerrado regeneration in Brazil from the perspective of cultural historical activity theory (CHAT), which provides a systemic and prospective approach to human practices, particularly useful to foster collaborative learning processes by collectively identifying and handling evolving tensions and contradictions and building consensus on goals, principles and procedures. 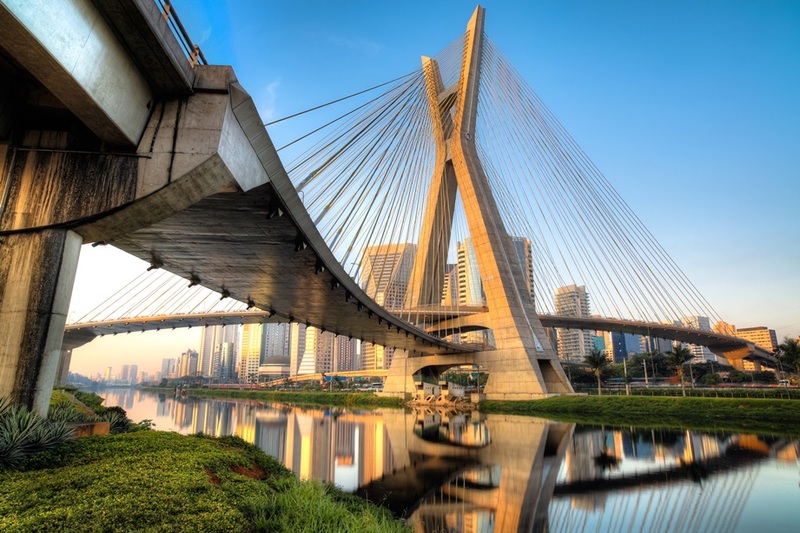 Photo of the Estaiada Bridge in Sao Paulo, Brazil via Adobe Stock. Read full essay by Alessandra Pavesi in The Nature of Cities.